A retired Distinguished Professor at New Jersey Institute of Technology (NJIT), he was a key founding father of computer-mediated communication which is communication that occurs through the use of two or more electronic devices. While the term has traditionally referred to those communications that occur via computer-mediated formats (e.g., instant messaging, email, chat rooms), it has also been applied to other forms of text-based interaction such as text messaging and Internet-based social networking supported by social software. He was born in San Francisco, California to Jewish immigrants from Russia and Poland. His parents met in New York, married, and moved to San Francisco in the early 1930s, where his father, a skilled sheet-metal worker who had learned his skills in Russia, started a shop for handcrafting soda fountains, steam tables, and other restaurant and bar appliances. As a child, he read extensively and during his teenage years, he often helped his father in his business. Math and science came easily to him and from the fourth grade onward. This was noticed by his teachers, who often pointed him to higher-level books on these subjects and specialized libraries. By the fourth grade he had decided that he wanted to be a scientist, and by the seventh grade, he wanted to be a physicist because a physicist could "answer the most fundamental questions about the universe." Although his parents had expected him to become a doctor or lawyer, they supported his new academic ambitions. He attended George Washington High School, in San Francisco, graduating in 1953. He also received training in conservative and Orthodox Judaism. In 1954 he was admitted as a student to the University of California, Berkeley, majoring in Physics. His first exposure to computers came during his last two summers at Berkeley, working at the Hunter Point Naval Radiological Laboratory, in San Francisco. In 1956 he began working with a Burroughs 200-series vacuum-tube computer, learning assembly-language programming. After his graduation in 1958 with a B.A. degree in Mathematics and Physics, he gained admission and support at Brandeis University, where he went to pursue a Ph.D. in Physics which he received in 1965. In the first year of his graduate program, he gained tremendous experience programming IBM computers. The Physics Department at Brandeis had no computer of its own, but it did have access to the Massachusetts Institute of Technology's large scientific computer, an IBM 704, via a fellowship agreement which he was appointed to learn. He has served as Chairperson of the Information Systems Department, acting Chairperson of the Computer and Information Science Department as well as Director of Computerized Conferencing and Communications Center during his tenure at New Jersey Institute of Technology (NJIT). He was also simultaneously a member of the faculty at Rutgers Graduate School of Management between 1982 and 2005. He co-founded the Information Systems for Crisis Response and Management (ISCRAM) community. He currently holds the title Distinguished Professor Emeritus in the Information Systems Department at NJIT. In 1971 while working in the Office of Emergency Preparedness, Executive Offices of the President of the United States was tasked with developing an electronic information and communication system to aid the US government's response to emergencies. The resulting Emergency Management Information System and Reference Index (EMISARI), based on a smaller system he created the previous year, is often considered the first computer-mediated, multi-machine communications and conferencing system and an early precursor to many of today's chat, messaging, conferencing, and collaboration systems. The system was used for the 1971 Wage Price Freeze and assorted federal crisis events until the mid-1980s. He designed and implemented the EIES (Electronic Information Exchange System) as part of a 25 year research program into the design of structured Computer Mediated Communications Systems (CMC) to conduct field trials and evaluations of alternative applications of human communications via computers. 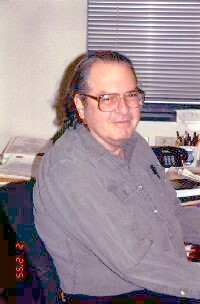 He has authored or co-authored 8 books including The Network Nation (with his wife Starr Roxanne Hiltz) which won the TSM Award of the Association of American Publishers for the Best Technical Publication in 1978 which went on to become the defining document and standard reference of its time for the field of computer mediated communication. He was awarded the EFF Pioneer Award in 1994 for "significant and influential contributions to computer-based communications and to the empowerment of individuals in using computers."